You will receive 4 vouchers for a total value of $50 AUD. Each voucher can only be used once and cannot be combined with other vouchers or offers. Subscribe to our newsletter and discover the best offers and news, subscribe today and you will receive a gift, which could be used in your next purchase. 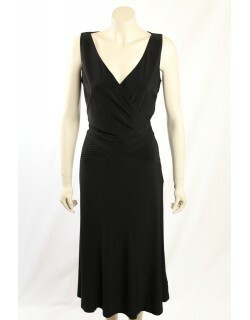 *Feedback, testimonials and ratings are from our Dress Divine Australia eBay store! Tommy Hilfiger red pleated skirt. 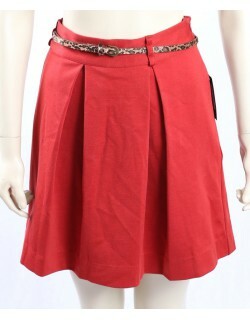 The animal print belt is included and makes a great compliment to the sharp redness of the skirt. The skirt is in a line style and is made of a think Ponte material. 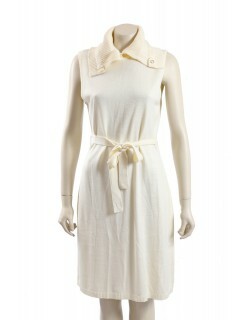 New wear to work 100% cotton dress from Ralph Lauren. 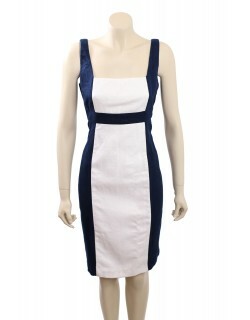 The dress is knee-long, fully lined and has a hidden zipper at the back. Would you like to enjoy the best brand label designer clothing at very affordable prices? Here at Dress Divine, we have an exclusive collection of designer formal dresses, cocktail dresses and party dresses from the largest brands in the industry, all available at discounted prices. We also offer designer plus size clothing, and the finest maternity wear for expecting mothers. Our range of woman's clothing also includes tops, skirts, shirts, jackets and accessories. We have significantly reduced our prices to offer items from leading designers and brands at a fraction of the recommended retail price. By visiting our online store, you can choose from a wide collection of clothing, with items provided by brands like: Calvin Klein, BCBG, Ralph Lauren, DKNY, Tommy Hilfiger and much more! Buy your clothes online with us to suit all occasions as we make sure to cater to all women who are looking for the latest fashion. We offer a wide selection of sizes and also have plus size options available to ensure the perfect fit. To view the items that are available in your size simply use our filter to limit your search. Here at Dress Divine, we want to ensure that our customers can shop with confidence. As well as our discounted prices, we offer a fast and secure online shopping experience that makes it simple to purchase designer dresses in Australia. To make finding the right item easier, we even measure all of our items to ensure they are correctly sized. So no matter what you are after, whether it is work attire, party outfits or maternity wear, you can rely on our online store to provide you with the highest quality products and affordable prices. If you would like more information on our products or need assistance with an order, please get in touch with us today. You can contact us via phone on 0411 798 350, submit and enquiry on our online form or use our live chat to leave us a message. Get instant upgrad to Fast Free Shipping on any orders over $50 AUD. Easy and hassle free item returns for up to 30 days with free return shipping within Australia. 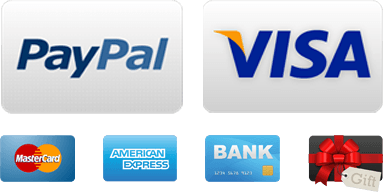 Pay with Credit Card or your PayPal account on our secured and easy ONE-page checkout.